Red Island Restoration, the ministry of SPU alumni Jamie and Alissa Shattenberg, works to change the drastic depletion of the coastal mangrove forests of Madagascar, such as this one. Celebrating American holidays 11,000 miles away in Madagascar would be a challenge for any U.S. family. For missionaries and Seattle Pacific University graduates Jamie Shattenberg and Alissa Wuertz Shattenberg, life on the Great Red Island in the Southern Indian Ocean is sometimes described in terms of “doozies” — Alissa's word for the special challenges of coping overseas. On Halloween, for instance, they packed ladybug, princess, and cowboy costumes into the car for a much-needed getaway at an island hotel. Jamie and Alissa gave candy to the hotel staff, who in turn passed the candy out to the three trick-ortreating Shattenberg children. For Christmas 2011, the hottest day of the season, the perspiring family ate lasagna for dinner around the bedroom air conditioner while watching Elf on the home computer. “Quite pathetic,” Alissa wrote on her blog. There's nothing pathetic, however, about the Shattenbergs' call to see Madagascar thrive in terms of public health, reforestation, and hope in Christ. Jamie, a 1999 SPU graduate and son of American missionaries, was born and raised in Madagascar and feels a powerful love for the Malagasy people and culture. Alissa, a 2000 SPU graduate from Santa Barbara, California, came to love the island and its people on a summer trip in 1999 led by Jamie. Together, they founded and serve with the ministry of Red Island Restoration. Both are putting their Seattle Pacific degrees to good use. Alissa earned a bachelor's degree in nursing at SPU and went on to pursue a master's degree in nursing as a family nurse practitioner and an associate degree in midwifery. She works with a team of Malagasy midwives and health educators preparing to open a maternity center in early 2013. An estimated eight Malagasy women a day die in childbirth because no trained doctor or midwife is present. Alissa says that complications in unassisted home births lead to deaths and broken families. The Christian birth center will provide emergency intervention, compassionate medical care, and health education. Jamie, a biology graduate pursuing a master's degree in intercultural studies at Fuller Seminary, directs the Eden Reforestation Projects, working to reverse the devastating effects of deforestation. Only about 17 percent of the island's original vegetation remains. “With the loss of inland forests,” says Jamie, “the rain patterns change, water tables drop, fertile topsoil erodes, crops suffer, and livelihoods are drastically altered.” Villages also become exposed to cyclones, breeding grounds for ocean fish diminish, lumber for constructing houses and canoes becomes scarce, and wood for cooking becomes more expensive. 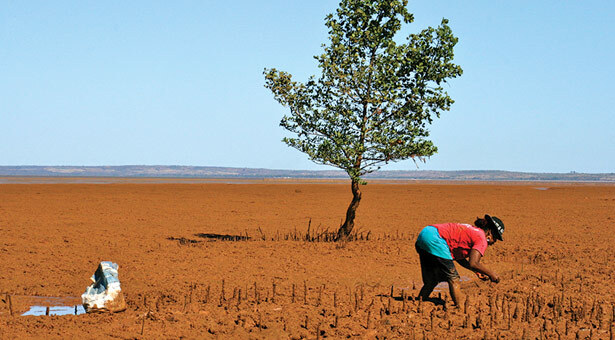 In 2012, a crew of 175 Malagasy women and men under ERP's direction successfully planted more than 18 million mangrove trees along the island's northwest coast, bringing the total number of trees planted by ERP over the past six years to 50 million. The hope of Christ and the prospect of a better life are central to the full restoration of Madagascar, says Alissa. Most Malagasy people live in extreme poverty in a country consistently ranked as one of the world's 10 poorest. 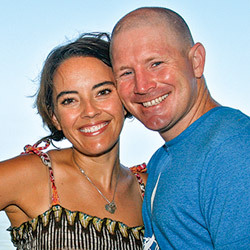 Jamie says he and Alissa, and their children Isabella, Eliana, and Gavin, owe much to their continuing Seattle Pacific connections. They remain in touch with “tons of SPU friends” and several former professors, a number of whom are financial partners in the ministry. For years, Seattle Pacific President Emeritus Philip Eaton has received the Shattenbergs' monthly newsletters and frequently drops them a line of encouragement. The Shattenbergs are thankful for their island of 22 million souls, but reiterate that the work of a missionary is not without risk. Last Thanksgiving, Alissa went down with a raging fever, and a planned dinner for 14 had to be cancelled. She says she wishes everyone a doozy-free New Year.